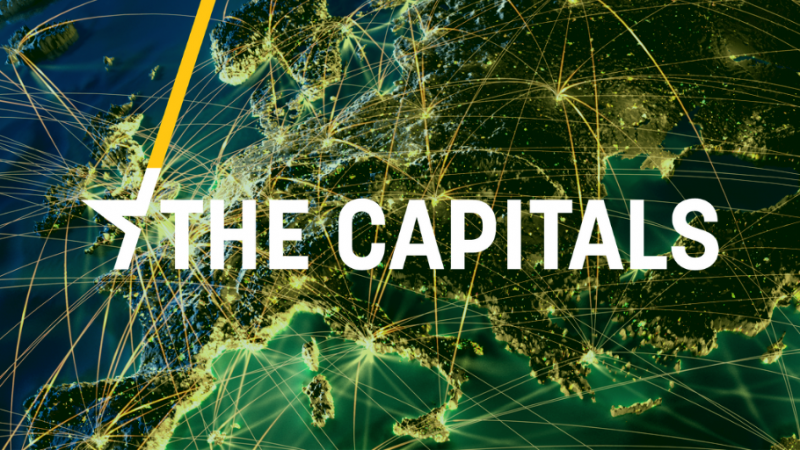 The Capitals is EURACTIV'S daily newsletter from across Europe. The Capitals brings you the latest news from across Europe, through on-the-ground reporting by EURACTIV’s newsroom network. Read the available translations: German, Spanish, Greek, Romanian, Croatian, Polish. Yellow Vest slowdown: Only 40,000 people joined the Yellow Vests demonstrations over the weekend, a sign that the movement may be slowing. Speaking to Le Midi Libre newspaper, Economy Minister Bruno Le Maire promised to support businesses affected. Polls show roughly half of the French people still support the Yellow Vests, while a growing number are fed up with it. Economy loses steam: Central bank governor Villeroy de Galhau thinks the slowdown of the European economy is “significant”. According to him, the European Central Bank could change its interest-rates guidance if it becomes clear that the situation isn’t temporary, he said in an interview with Spanish newspaper El Pais. (Aline Robert, EURACTIV.fr). ‘Nein’ to Angela Merkel: With three regional elections to be held after the summer break, the local branches of the Christian-democrats (CDU-EPP) are planning to overwhelmingly ignore Chancellor Angela Merkel (also CDU) during their campaigns, Der Spiegel reported. Far-right Alternative für Deutschland (AfD) is expected to score high in all three ‘Länder’. Netanyahu irritates Poland: Israeli PM Benjamin Netanyahu told the Middle East conference in Warsaw that Poles, together with Nazi Germany, were responsible for killing Jews during the Holocaust. In response, Polish PM Mateusz Morawiecki called off his visit in Israel for the V4 summit due today. Instead, Foreign Minister Jacek Czaputowicz will represent the country. In the meantime, Israelis have attempted to correct the faux pas saying that Netanyahu meant individual Poles and not the Polish nation as a whole. Salvini on trial?– In a crucial test for Italy’s governing coalition, the activist base of the ruling anti-establishment Five Star Movement will vote today on whether to shield Interior Minister Matteo Salvini from standing trial for refusing to let a migrant boat disembark in August. After that, Italy’s upper house must decide on Tuesday whether to grant prosecutors the right to try Lega’s leader and observers believe that authorising the investigation could trigger a government crisis. Tsipras eyes centre-left: Greek PM Alexis Tsipras has reshuffled his government, bringing six new ministers (among them 2 socialists) on board, opening up to the centre-left and rewarding left-wing activists. All new members are younger than the 44-year-old PM. Constitutional crisis unfolding: The Slovakian Parliament has failed to elect candidates for the nine judges of the Constitutional Court. The decision is highly controversial, given the candidacy of former PM Robert Fico, who is seeking a career refuge as chairman of the Court despite doubts over his professional and moral qualifications. “One-man party”: The Congress of the ruling ANO party (ALDE) has chosen MEP Dita Charanzová as leader for the EU elections and PM Andrej Babiš as chair of the party. Both decisions were expected because ANO is often called a “one-man party“ while Babiš, the second richest man in the Czech Republic, expressed his wish to see Charanzová as leader a few weeks ago. Budget gets green light: The Romanian parliament finally approved the 2019 budget on 15 February, following a week of heated debate. However, President Klaus Iohannis, who could veto the law, criticized the budget construction. He said it was based on overestimated economic figures and neglected much-needed public investments. Romania’s government estimates economic growth of 5.5% for 2019, while most international institutions forecast a GDP growth of around 4%. Opposition quits Parliament: MPs from Bulgaria’s opposition Socialist Party (BSP) are leaving parliament for an unspecified period of time, saying fair elections could not be guaranteed following recent Election Code amendments. EU Commission (EC) seeks quick solution: EU Commissioner Johannes Hahn said Serbia and Kosovo should seize the moment and reach a deal before the end of this EC’s term in October because there will be a loss of rhythm before the new team warms up.